Speed your sales process with PandaDoc. Build quotes and proposals in a drag and drop interface. Merge pre built text from your library. Reuse content with templates built and stored in a library. Merge your customers from CRM, upload documents from Google Drive. Then when the document is completed send to the customer for signature. 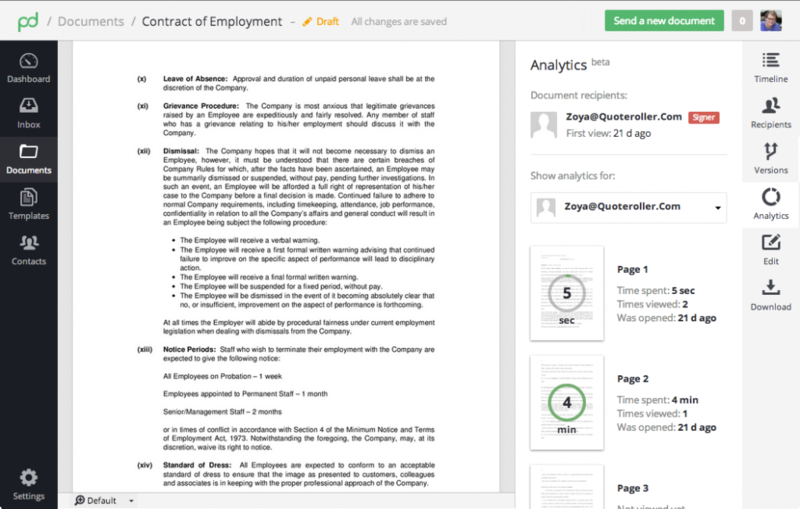 Document analytics are the “read receipt” for quotes, proposals, and contracts. As a part of the PandaDoc deal room, you get the total low-down on how many times your client opened each document and which sections they’ve paid most attention to. PandaDoc’s real-time comment thread is instant, easy, and keeps all the right people in the loop. Let your clients suggest changes to the document itself and compare versions to see what’s changed. Your reps can set their own email notifications as well so they never miss a thing. The whole print, sign, and re-scan process can bring a promising deal to a screeching halt. 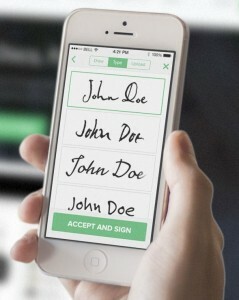 PandaDoc’s legally binding electronic signatures boost your transaction speed up to 5x and help you close deals faster. Note it is our belief that electronic signatures are binding in the UK, if in doubt we advise you to check. With PandaDoc’s automatic version tracking, your employees can easily make changes and resend a document at any time.